"Infor VISUAL -Part Maintenance and Purchasing modules"
I like the ability to "QuickFilter" my search results in a chart format. It lets me see multiple items on a list for comparison. The menus or toolbars that I need to use are less than intuitive. Why don't they use standard Windows icons for "Close" and "Save" for example. And keyboard shortcuts are non-standard. Instead of CTRL-C for copy and CTRL-V for paste, I need to use CTRL-INSERT and SHIFT-INSERT. That forces me as a user to often do it wrong, then figure it out, then do it over. Sometimes I can use TAB and sometime it does nothing. I am glad for the User-Defined Fields. It seems like most of the data I need is in those fields. But I wonder why they are not standard fields. For example: Part Number and Engineering Change Level are UDF. I would recommend that a new company who is considering an ERP system have some experienced personnel from multiple fields review the software thoroughly before making a decision. My company uses Infor Visual Manufacturing for ERP. Like many large companies, our specialized users normally each only use a small portion of the software to do our various jobs. Hopefully someone is finding value in all this information, but at my level it is a bunch of data I am unsure of the benefit. Visual is used as an ERP and management platform that allows us to manage the flow of raw materials, piece, parts, and inventory throughout our work environment. The system is very good at what it does but it lacks in a graphical user interface. This makes most younger employees have a longer uptake time for processing. I dislike the inability or seeming inability to customize the platform from anyone but a network admin. There are limited selection choices and most of the commands are text based with no hot keys or map for search parameters or shortcuts. it's up to the individual employees to figure out what these are and create there own documentation in an effort for training and practice. Because this is not a graphics based interface it is not intiuative and must be practiced over and over again. Learn how to operate in a none text based environment. This is not a graphics friendly program. I cannot stress how much a different graphics user interface and ease of data entry and ability to change things would make life so much easy for this software. Though the structure is there to support it. Visual meets all of our current needs and is very good at managing the flow of materials into and out of the facility. It is so good at this that we are using it to aid us in the expansion of all our facilities. Ability to have all of our records held in one spot. "Streamline your production with Visual"
Visual is a stable platform with tons of available customization. It work great out of the box but really reaches its stride when you customize it to your business environment. The support is great and most problems/questions are resolved same day, usually within the same hour. Visual does have a learning curve and some understanding of databases will help tremendously. The learning curve can be daunting for new users. A solid product. Use the Infor website, especially the Knowledge Base. Most of the answers to my questions can be found there. All aspects of manufacturing are covered, Purchased orders, Customer Orders, Work Orders, Labor collection. Shop floor and resource planning and made simple and reporting is built in. Visual has become the one-stop-shop for data collection and processing. "Compentent ERP System for limited functionality"
It is a functional system for basic ERP operations functions (inventory tracking, shipping/receiving, purchasing, MRP, etc). 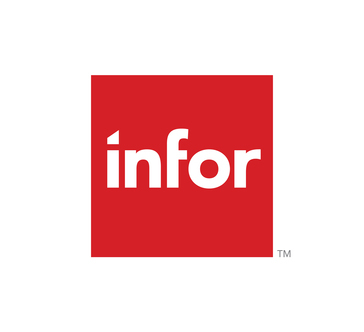 Infor in general has good support when issues arise. Reporting in general is archaic. This is not a finance friendly reporting system. Without a few different types of 3rd party reporting software packages, it is extremely difficult to do any analytic work directly from Visual beyond reconciling GL to Subledger. Consolidating is also very difficult compared to tier 1 ERP systems. Make sure before you adopt an ERP system that it meets the basic needs of all functions in your organization, and consider where your organization will be in 5-10 years before committing to a software package. ERP software for efficiency of operations. Automated tracking of inventory movement, job costing, job workflow. "Product is on the Right Track"
VISUAL provides a good platform for all of our needs, by creating a one-stop-shop for our programs. It can be a little glitchy, & causes errors which stops the systems. You cannot customize it at all. Which for as much as the system can do, it was a disappointment. We used it to manage and keep track of Purchase Order's & financial data. "using for over 15 years as our ERP"
It works. Infor support and knowledgebase are helpful. Most questions answered quickly. can be a little slow to grasp process at first. Work with a test environment at all times. Using ODBC connections you can easily access the data in Excel or MS Access. Gupta runtimes are archaic and probably the Achilles heal. Visibility and tracking from design, to orders, returns, bill of materials, customer service. Visual handles a wide range of these processes and has good security features. The software is constantly evolving. "Not a modern day expierence"
It is good as a manufacturing tracking capability tool. It is very difficult to use as an end user. With today's multiple products that require a very little technical expertise to run/manage this is complicated and out of date. I think that it is challenged to keep up with future technology. I would strongly encourage them to leverage a different platform and follow a user friendly first approach. Allow the technology to be adaptable. If you are looking for a forward thinking product I would not recommend this solution. Make sure that you take an end user first approach without that you will be hard pressed to get adoption. We wanted to be able to track manufacturing capabilities and financial information. It links the two together well. Very capable ERP. It can do things that larger ERP's like SAP can do at a fraction of the operating cost. The Visual Quality module has many features however approval flow of records could use further enhancement. Powerful tool to ensure your program is on schedule and on budget. "this product is easy to use and shoud be simeple to process data"
I think the product needs to be a little more user frendly. I as use the product as a casual user and see improvements daily. I really have not seen the benefits yet. I have realized I need the product. No really good training tools available. Reduction of raw material on hand. Quick reference to order screen. * We monitor all Infor VISUAL reviews to prevent fraudulent reviews and keep review quality high. We do not post reviews by company employees or direct competitors. Validated reviews require the user to submit a screenshot of the product containing their user ID, in order to verify a user is an actual user of the product. Hi there! Are you looking to implement a solution like Infor VISUAL?